Soon, the use of tracking devices as we see in spy movies will become a reality. Ever since the Global Positioning System (GPS) became available to the masses, it sure did revolutionize the modern lifestyle and bring convenience to us in a lot of ways, especially online. Going to places, finding your lost dog, tracking down where your child went, it makes all that feel like such a breeze indeed. As the world keeps evolving, so does GPS. Leading tech companies around the world are now creating new and improved trackers in order to make GPS even more reliable. Soon, we’ll be able to have indoor tracking, highly-accurate real-time updates, and more reliable geolocation data. Contrarily, it is true - GPS is not 100% foolproof; since a GPS-based app relies on satellites, that means it cannot track certain areas down, especially if the tracker is within a building or a particular region without coverage. But soon, all that is going to change. Out with the old, in with the new or at least add some improvements to the already-existing satellites. Recently in 2017, 32 brand-new satellites called GPS III began orbiting around Earth, purely made for tracking purposes including phone apps, military-grade drones, and vehicles. Current tracking apps make use of these satellites through signals from high profile trackers such as USA’s Navstar, Russia’s Glonass and China’s Baidu. By 2020, GPS III will reach its full potential, giving more accurate results onto your device and tracking for your business. Baidu, a Chinese tech company, has invested in Indoor Atlas to create a more reliable tracker - specifically when you’re inside a facility. They simply call it Indoor GPS. Yes, the name is self-explanatory, but the best thing about it is that it tracks down a position to a very specific brim. That means it can point out specific floors and rooms in real time. On the other hand, fleet management has become more convenient with various GPS software available to the public. If you happen to be in the business or want to build one like a delivery service, now is the perfect time to do so. You know how important GPS is very important when you’re on a road trip or on a tour right? With renowned apps taking advantage of the current tracking technologies today, you get to experience fast and up-to-date services (including both location tracking and service info) whenever you use their apps. Want plane ticket discounts? Cheapflights. Hotel? Trivago. GPS is popularly known for displaying still images, according to the satellite’s captured photo. Trackers in real-time are usually shown as lines and blips across the map. Soon, we’ll be able to use tracking devices just like what we see in spy movies and military footage - that means tracking will involve a real-time display of the environment based on the satellite’s capture. Remember, GPS used to be a military-only technology and then made available to the public later on. It won’t be a surprise if the public were given the same top-of-the-line satellite capture too. That also means apps like Google Maps, CityMapper and even delivery services such as Uber Eats and Amazon will finally get to display real-time travel onto our mobile devices and computers. But does that mean we’re safe from getting spied? It’s natural for someone to think that the ISP, the government or a random hacker can get onto them when the device’s GPS is activated all the time. Quite frankly, while GPS tech keeps on evolving, we are never completely out of the woods completely - at least that’s what the news says. But what’s important here is that you’re going to need the GPS’ help if you want to reach destinations and find people with ease. Gone (mostly) are the days where we have to ask people for directions or get paranoid as to where our pets have run off to when you get tracking devices to help you out. Do you need an internet connection to use the GPS? That’s a yes or no. Yes, because apps like Google Maps need to download the latest info for specific regions. Also, downloading map data is quite large so you’re going to need the best internet service provider for that. Click here to check out one of the most reliable internet services available right now. But for the most part, you really don’t have to rely on the internet at all if you either have two of these: geolocation or a GPS device. 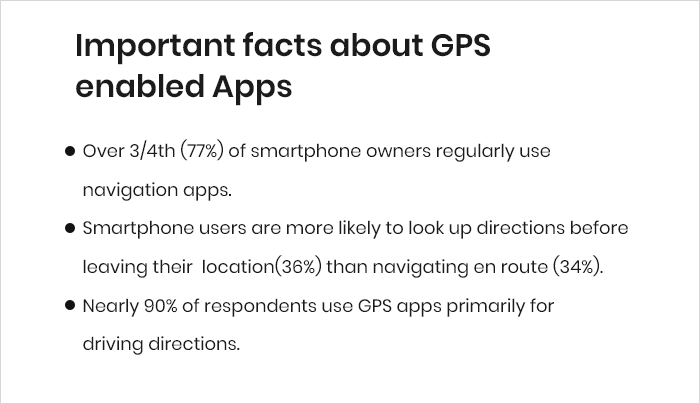 Geolocation has the ability to know your region and keep the info on your device up to date with local data as well as recommending apps and news based on where you are. A GPS device is installed with the latest map data wherever you go. 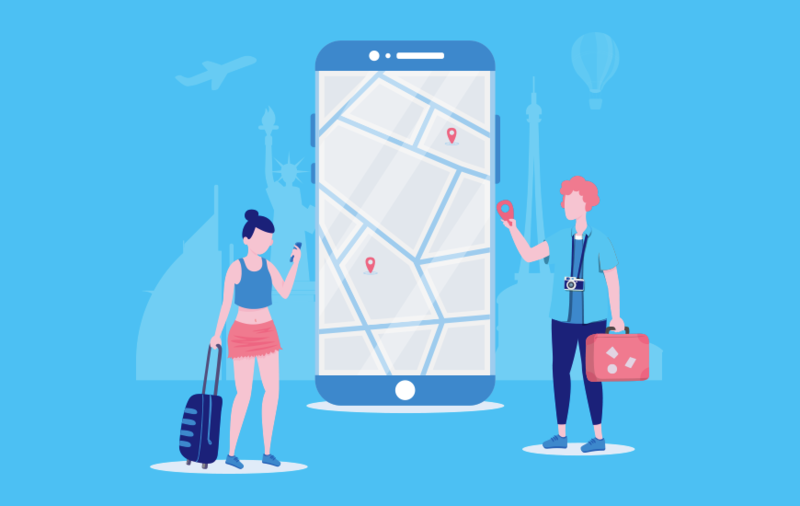 At this point, it’s very clear that tech companies will assure a better and more reliable gps tracking software for people’s convenience be it family locators, maps, flights, destination reviews, and various online services. To read more about such tech-related articles, make sure to follow MobileAppDaily by clicking on the ‘Subscribe’ button. And in case you have any questions regarding the above-mentioned points, just leave a comment and we will get back to you at the earliest.